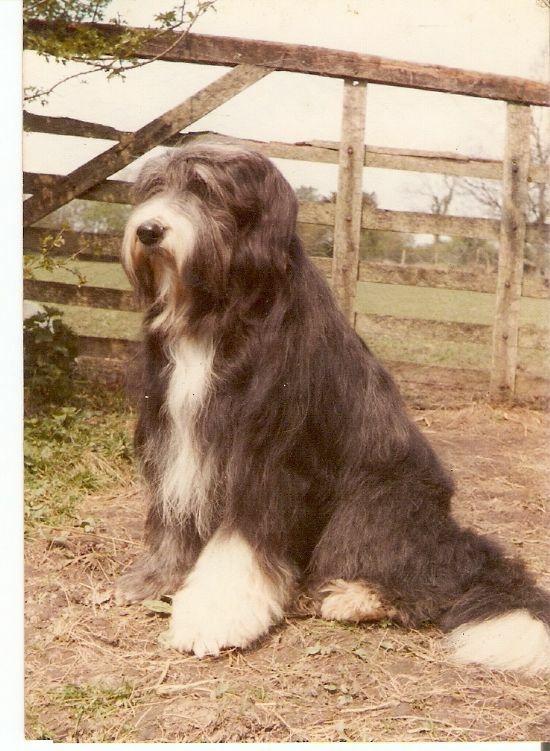 In order to keep the seventies page to a reasonable length, I have limited it to those Brambledales (and their immediate relations) whose names still appear in the pedigrees of our latest generation. This page features some of those who, although not represented in our continuing line, were of particular interest or importance. 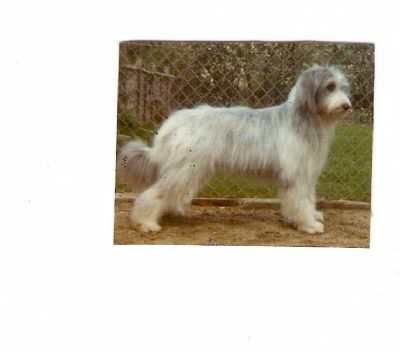 Bretta went on to produce a very nice litter by Balthazar, from which I kept Brambledale Blackfriar, (below) known as Bertie, who certainly didn't show any sign of weak pigment and who sired some good litters in Britain before going to join Cynthia Mahigian in Indiana. 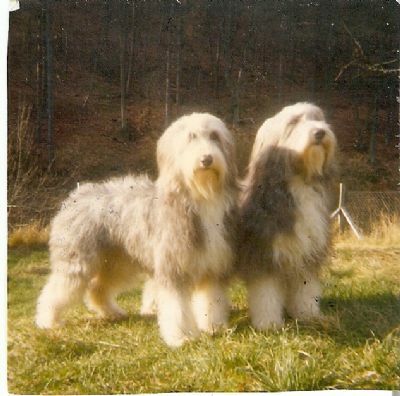 The picture below was taken at the BCC's 1973;show in the North of England , where my Balthazar (lying down) was BIS. Standing up is Andrew Drake with Ch. Andrake Persephone (BOS) and far right is Trudi 'Cannamoor' Wheeler with a Cannamoor youngster. 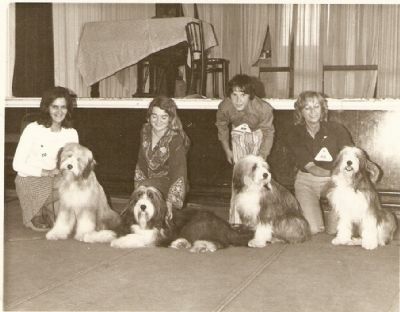 I am afraid that I can't remember the name of the lady on the left with her winning puppy.I have included the picture to illustrate the relaxed atmosphere and informal style of the time which made shows very pleasant family affairs.